← What IS a “Green” Home? Have you ever walked in a brand new home and felt…ahhh, it smells so new? Well, what you may not know is that that “new” smell is most likely toxic. That is because the majority of house paints have various levels of Volatile Organic Chemicals or VOCs. 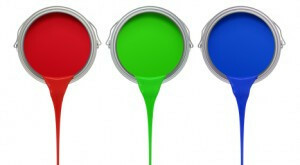 The growing focus on “green housing” has resulted in the introduction of many brands of low-VOC or even no-VOC paints. These paints, according to Greenfeet “release significantly fewer to no polluting toxins, and no-VOC paints are odor free. 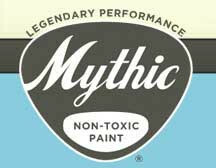 While at the NC Home Builders Expo last week I discovered Mythic Paint which is a true “Non-Toxic” paint. While many of the top paint companies have introduced or are planning to introduce low-VOC paints like Sherwyn William’s Harmony, Mythic Paint is the only one I have found that claims that it is 0% toxic with no toxins, low odor AND has the ability to mix any color. This is important because many of the low-VOC paints currently on the market have limited or lesser quality colors. Mythic Paint products include: Primers, Ceiling, Flat, Eggshell (flat but cleanable), Semi-Gloss, High Gloss and even exterior Satin and Semi-Gloss. Price will be a bit higher than many brand-name paints. The Green Home is more than just energy efficienct, it is healthy and more comfortable. Your desire to make every effort to eliminate Volatile Organic Compounds may start with using No-VOC Paint. We will discuss other sources of VOC/indoor air pollutants in upcoming articles. This entry was posted in Green Resources, How to Improve Health and Comfort, Miscellaneous and tagged Building a Green Home, Lake Norman Green Homes. Bookmark the permalink.